The Allied Group always prides themselves on working in an occupied space with minimal disruption to the hotel staff and guests. 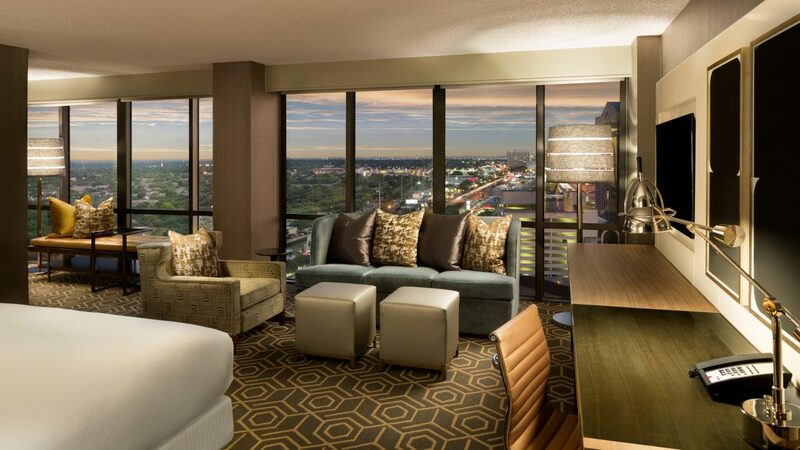 Interestingly enough, TripAdvisor was receiving positive feedback in the form of high scores from guests during the renovation of DoubleTree Campbell Centre, TX. The Allied team completed 300 guest rooms, upgrades to the 21st-floor skyline ballroom, conference/board room, guestroom, elevator lobbies, and corridors. The public area renovation included registration lobby, restaurant and bar (82Fifty Restaurant and Bar), ballroom and public restrooms. For images of the project please click here.